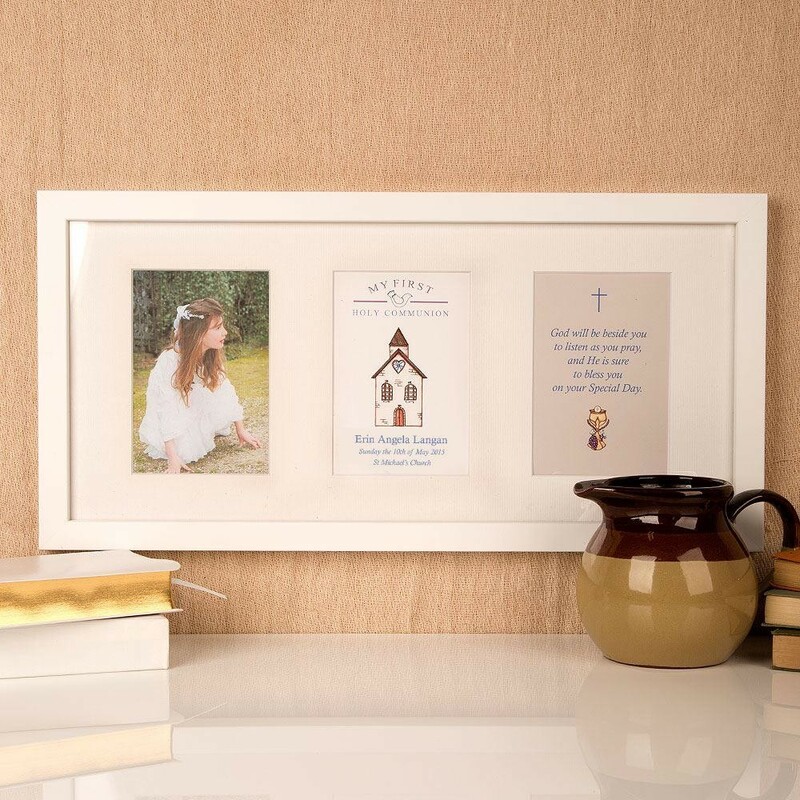 This stunning aperture frame makes a unique gift for a child sitting their first Holy Communion. Each design was originally hand illustrated by our Forever Bespoke artist before being made in to a keepsake gift. 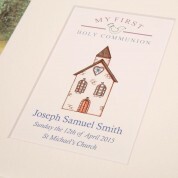 We can personalise this gift by adding the child's personal details including their name, special date and church. The final window has a poem to remind the child that God will be with them on their special day. You can also add a portrait photograph (4 x 6" photo) from the child's special day to complete this gift. 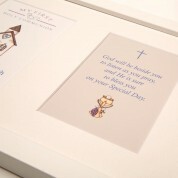 The mounts and frames are custom made especially for the Communion frame so fit together perfectly. Our bespoke white frame will tie in with any décor and will fit in perfectly on the child's bedroom or the living room wall. There is also a Eucharist design available. 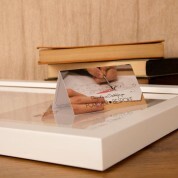 Dimensions of frame: 53 x 26.5 x 23mm depth. Photograph size: 4 x 6".